If you’ve come to regret having a tattoo or it’s becoming difficult to hide at work, our laser tattoo removal treatment in London might just be what you’re looking for. This advanced form of tattoo removal targets the pigments of the tattoo ink in your skin and the body then removes the particles from the inside. It can be an effectively, relatively pain-free treatment that works over a period of time to remove unwanted tattoos from your body. Getting rid of that unwanted tattoo can change your life. Maybe it’ll help you feel more confident about yourself or it might help you land that job you’ve always wanted. If the time has come to remove that tattoo, talk to our experts about how this can be achieved and book a free consultation at our London clinic. Laser tattoo removal attacks the pigments within the skin and is comparably simple. Whereas, in the past, removing a tattoo was impossible, lasers have revolutionised the procedure and made it a simple yet effective one. Clients often report feeling free once their tattoo has been removed. It opens doors that they might have considered closed and results in higher self-esteem, particularly if the tattoo was badly-designed or there were problems with the application in the first place. If you have a tattoo that you want to remove, it’s likely that this treatment is suitable for you. Thanks to improved technology at our London clinic, many patients report that they feel uncomfortable but not in pain. Removing a tattoo is often seen as comparable to having a tattoo in terms of stress upon the body. If you have particularly sensitive skin or are worried about any pain, it is possible to apply a topical numbing agent to the area to help the process. The number of sessions you’ll require for your laser tattoo removal are completely dependent on your individual circumstances. The quality of the tattoo, along with the size, type of ink used and your skin type all impact how effective this treatment will be and how long it will take to remove the tattoo to your satisfaction. There are limited side effects to be expected from this procedure and the area could take up to two weeks to fully heal. Most clients find they can return to work the day after a session. 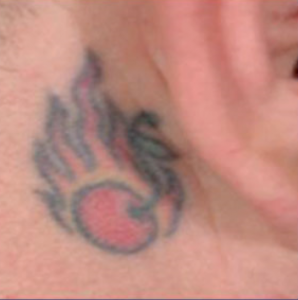 Laser tattoo removal works by targeting the tattoo ink within the skin with the laser light. The ink goes through a process called photo acoustic fragmentation, which essentially breaks them down and then they’re drained out of the body in a natural and safe manner. 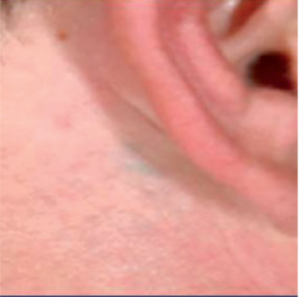 Laser Tattoo removal has an impact on the area in the immediate aftermath of treatment. You can expect redness, swelling and a white frosting to form over the tattoo following a session. This is a good sign, demonstrating that the treatment has successfully reached the ink. 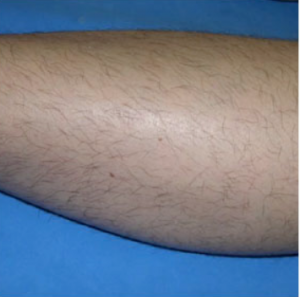 You may then find a scab forming over the area which will take up to two weeks to heal properly. Aftercare is important for tattoo removal and your therapist will discuss the dos and don’ts with you. It’s vital to stick to these guidelines as your skin will be sensitive and prone to infection if you don’t take care of the area. Take the first step towards removing that unwanted tattoo today. You can contact our team for a consultation at our Laser Tattoo Removal Clinic in London to work out how many sessions it’ll take to remove that tattoo and what you can expect during the process. Get in touch today.